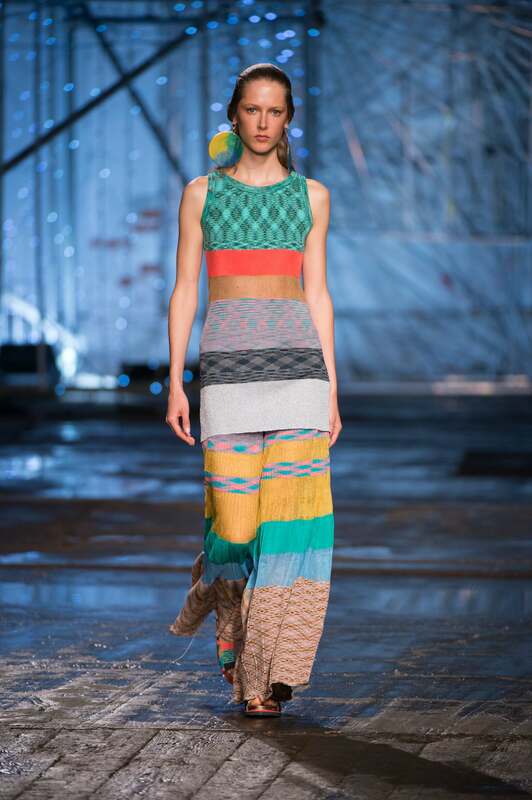 Missoni presents its spring-summer collection 2015: ethereal dresses, pastels, colors, floral patterns and multicolor. 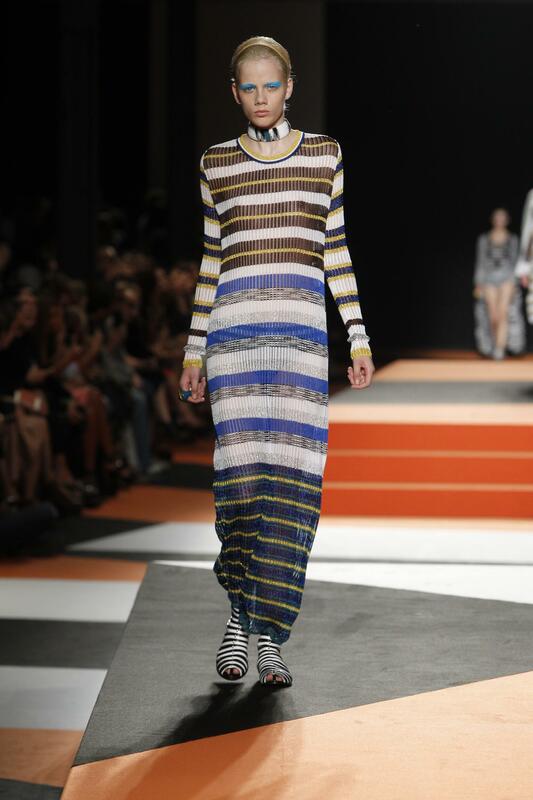 The Missoni woman looks like a nymph. 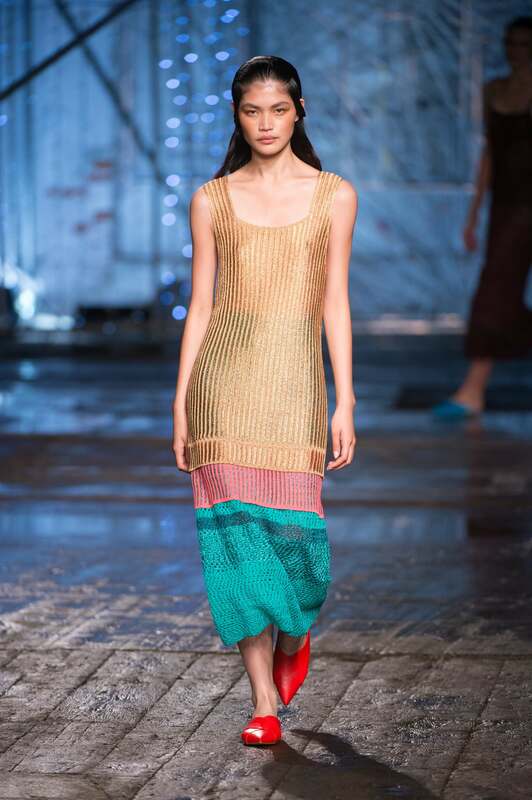 A location that already colored by herself immersed in the core Missoni, whose essence has to do a lot with the colors and multicolor. 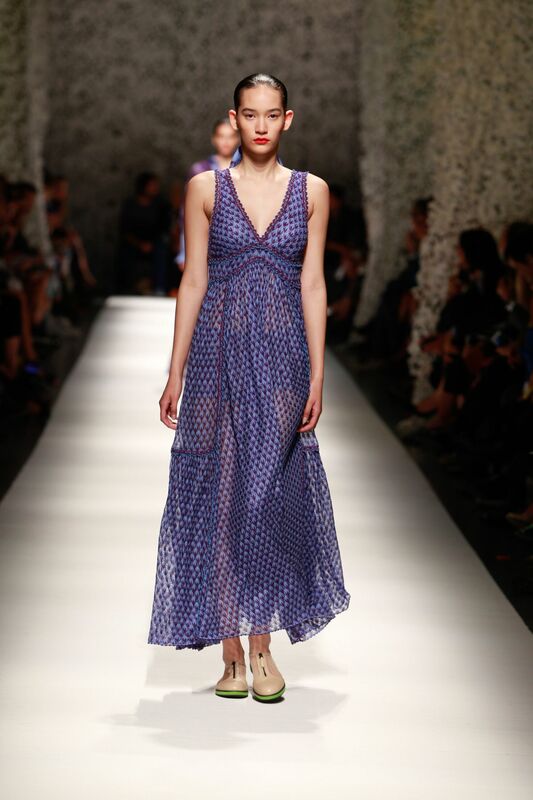 Angela Missoni, with its collection Spring-Summer 2015, manages to make inroads into the hearts and made ​​no mistake as Cupid a target, the outcome of the “coup” is more or less this: the uncontrolled desire to wear each of ethereal gowns parading on the catwalk, delicate visions floating flowing before his eyes wide with wonder and not to overlook the details. 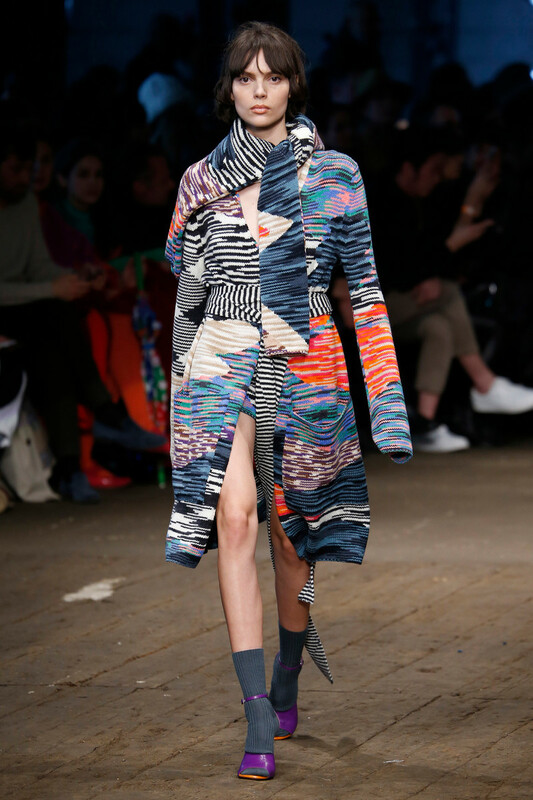 The masterful processing of fabrics and knitwear is an integral part of the Missoni story that becomes visible in all collections and put the label. 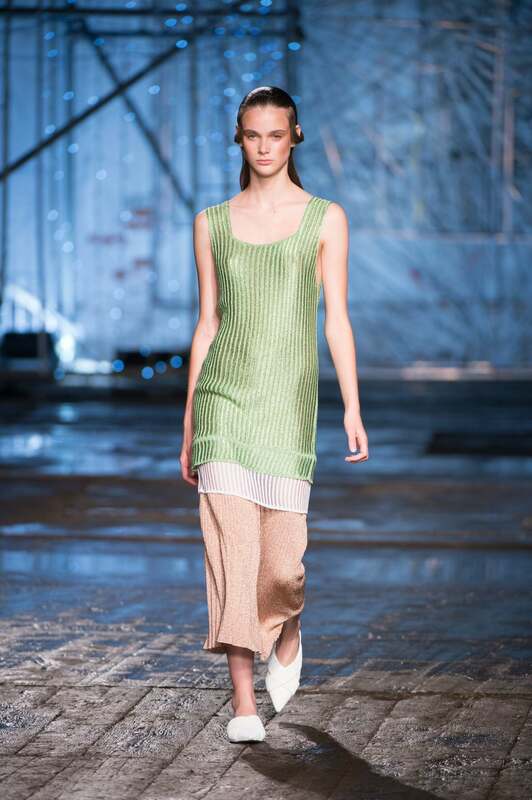 For Spring Summer 2015 collection, Missoni chooses pastel colors, like beige and floral prints declined on coats, dresses, tunics and oversize shirts, shades powder on trench coats or even the clear tones of the long coats to the foot in strict nineteenth-century style, the pastel shades ecru, pink and yellow that blend with the bright tones of green, turquoise, then moving to the mauve, purple and ruby.The suits are in all forms: solid color, multicolor, degradè with horizontal stripes. 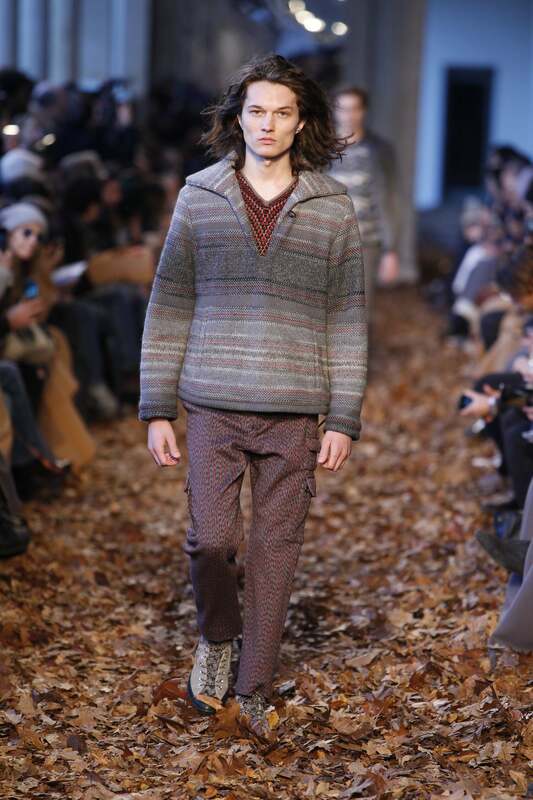 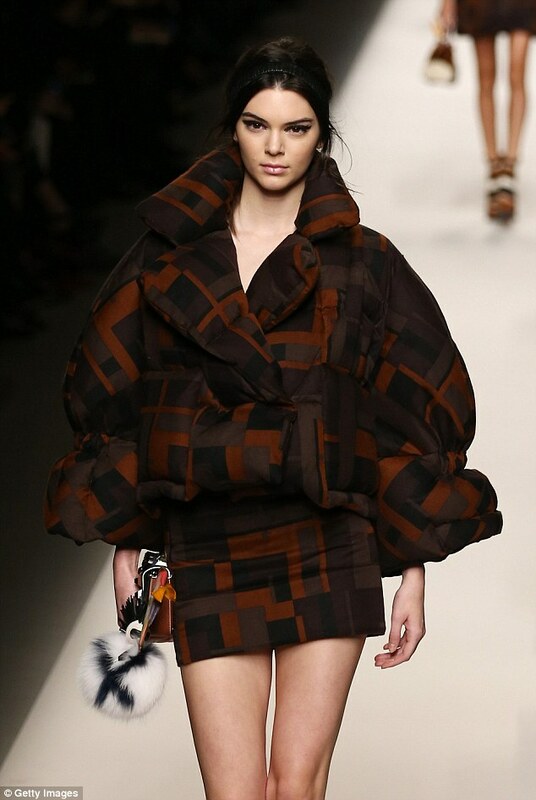 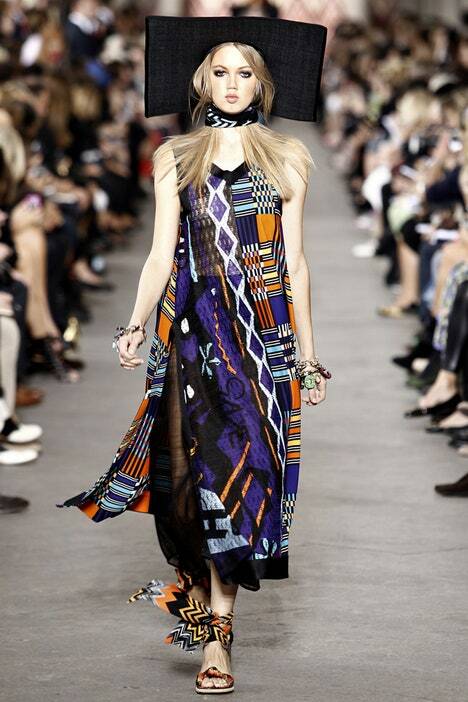 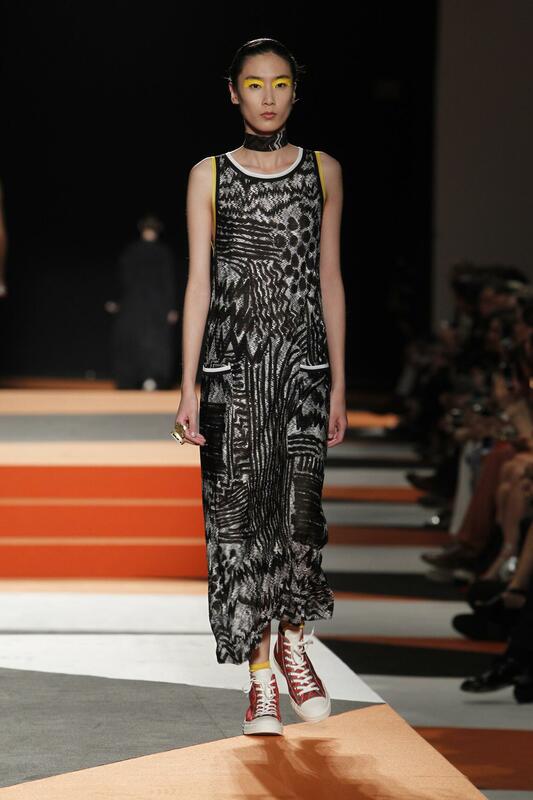 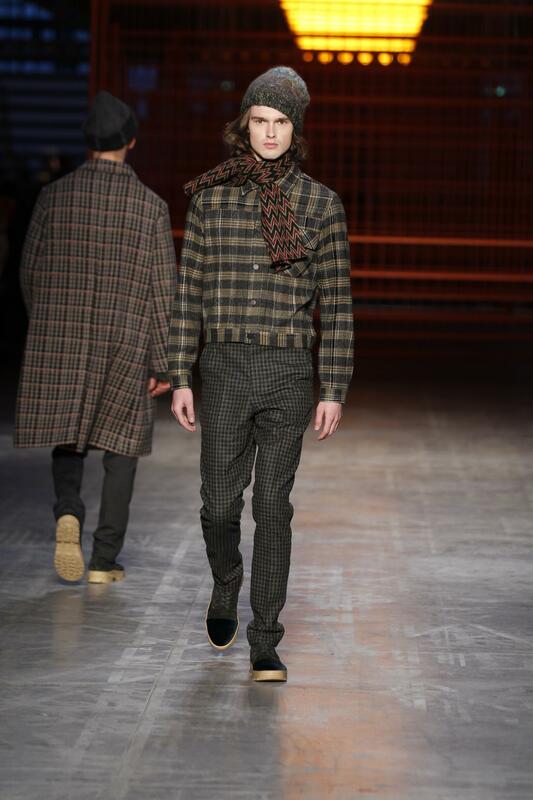 It reads a bit ‘of the East in the Missoni fashion show at Milan Fashion Week 2014. 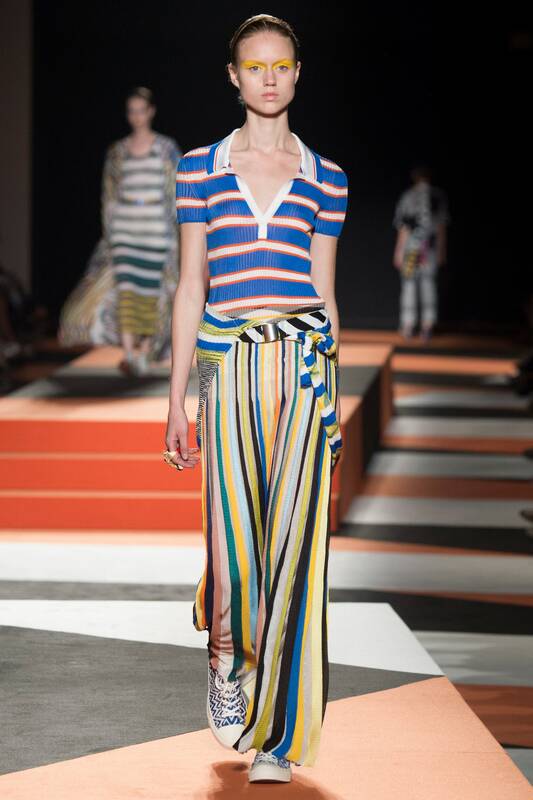 Gracefully strides the Missoni woman, dressed in light clothing, almost evanescent, as those with asymmetrical ruffles at the long dress to the ankle, from pants to skirt trench slipped above the knee, from shirts over and life at high skirts and airy. 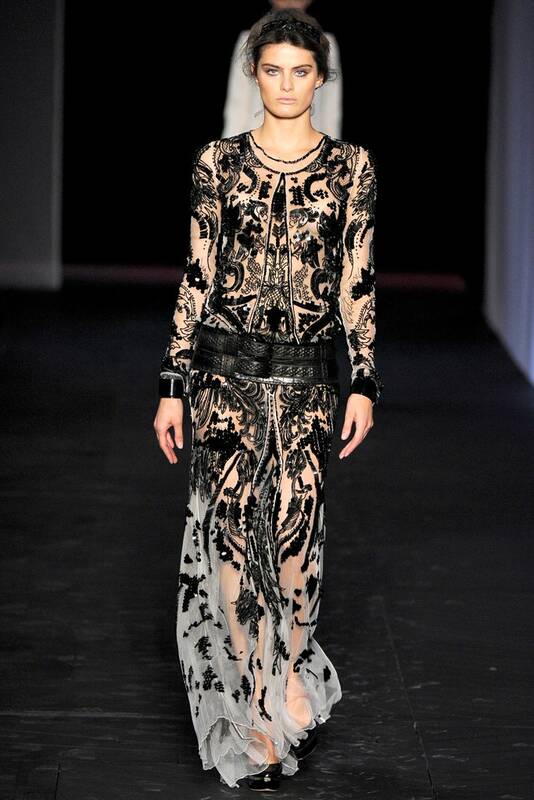 Everything is made ​​almost impalpable dall’oculata choice of fabrics. 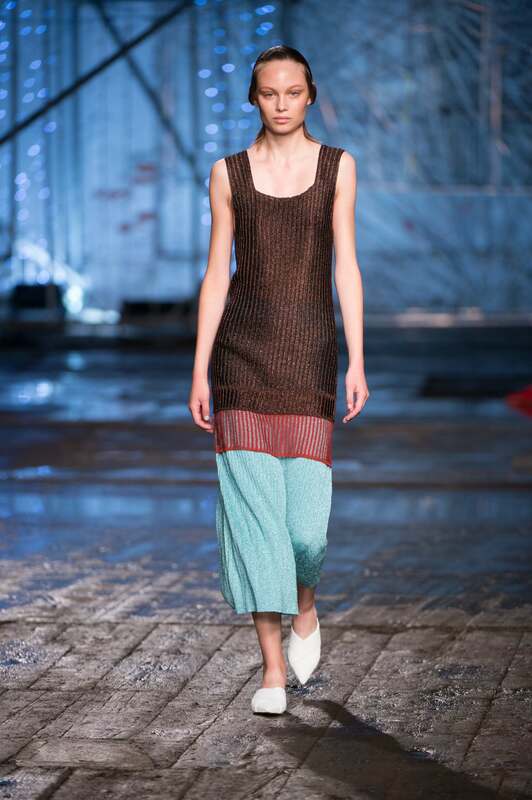 And the softness and good degree of sinuosity brings up the mannequins as wood nymphs. 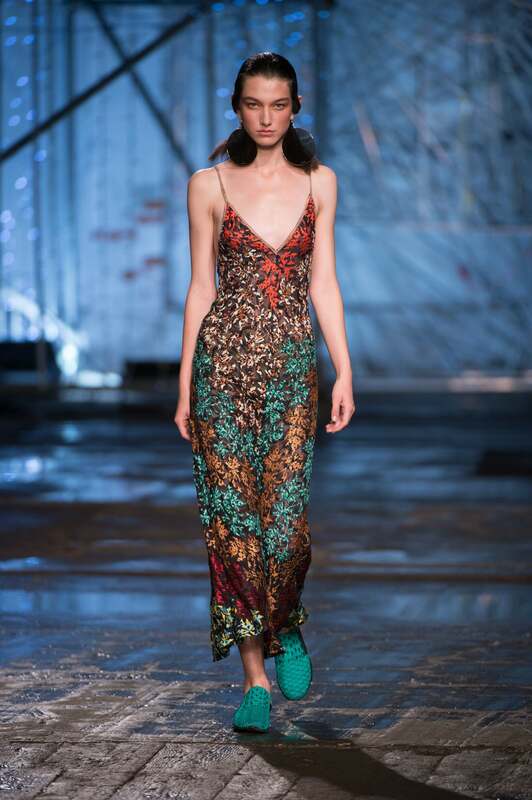 The spring invades the eye of the audience, suitably open to not miss any detail, a visual delight to the long gown chiffon, the sleeves patchwork the white satin models with watercolor style brushstrokes. 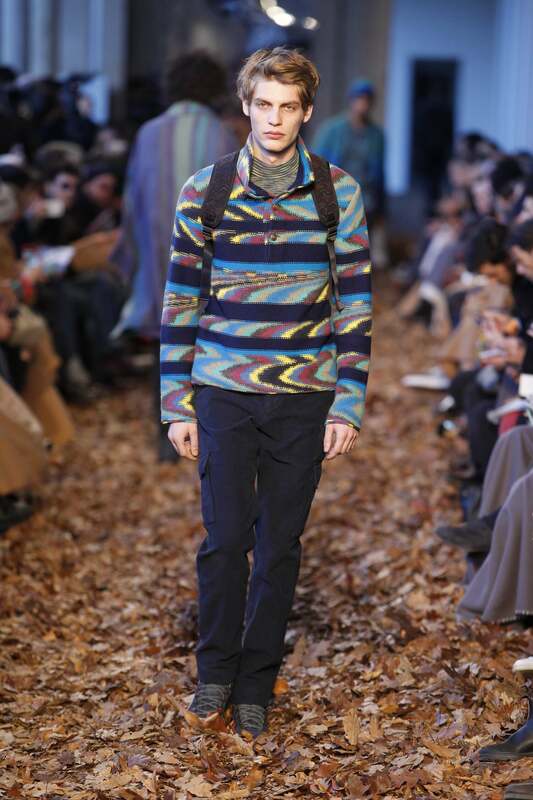 It sees a trend in the sweater with the sleeves knotted between shoulder and hip. 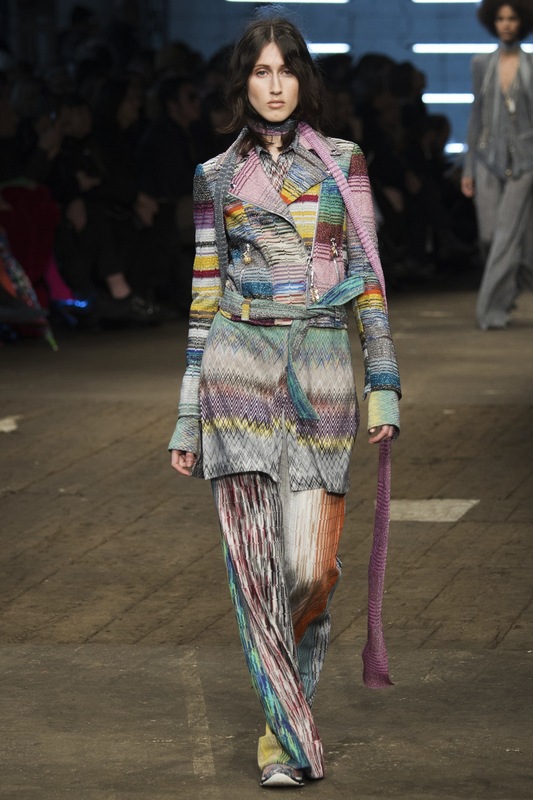 A little ‘muses a bit’ nymphs, the models parading Missoni with making provocative, attractive and literally festooned the turban.